Online degrees are a great way to pursue the advanced qualifications you need to progress in your current career, or obtain the credentials necessary for embarking on exciting new opportunities. However, since you’ll be studying in your spare time (which you may not have a great deal of) it pays to get yourself organized before your course starts, so you aren’t left racing to catch up as you work towards that online degree. Make sure you have the time to devote to your studies without burning out. Most degrees need around 10 hours of your time each week, but some courses like the online masters in gerontology offer the option of studying in an accelerated program. You may need to devote more hours to the course if you hope to obtain your master in gerontology in the 18 month time frame. Remember, you have to fit the course in around your work and family commitments, and while 10 to 15 hours might seem doable to begin with, once reality sets in and you’re exhausted at the end of a busy day with 2 hours of study still to go, you could run into problems. Once you’re enrolled on a course, the first thing you should do is set aside some time to go through the syllabus and start planning out your work load. Which books and other written materials do you need to read and how long will that take? How many pre-recorded lectures are there, when can you make time to watch them? What time do you need to organize away from work to attend live class sessions? 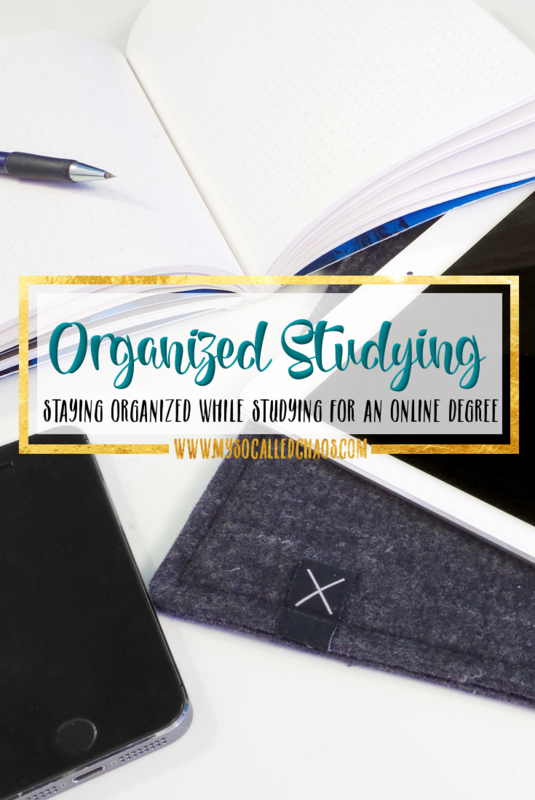 While paper wall planners and notebooks are handy, they aren’t the best way to stay organized with an online degree. For one thing, you can’t take them out and about with you while you run errands, and for another they can’t make noises at you to get your attention! An app on the other hand can be with you 24/7 and it will notify you when you need reminding about the paper you’ve pushed back all weekend, or the live class that’s starting in five minutes. Evernote is a great choice. You can set up schedules, turn any list into a to-do list with notifications, tag notes so they’re instantly available when you need them, store pdf’s you need to read, make voice notes about those pdf’s, dictate essays and set up IFTTT (if this then that) commands to move work where it needs to go to next. Another great free app for those who like to break tasks down into small parts is germ.io. Set up your workflow, add in due dates and you’ll be in organized heaven. Are you working on your online degree? Completing your degree will take a lot of your time and dedication, but on the day you graduate with your shiny new degree, you’ll realize that it was all worth it. Get organized, plan until you’re sick of planning and you’ll have the best chance of success.